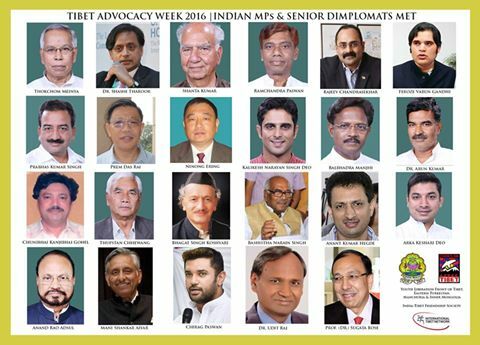 (TibetanReview.net, Aug01, 2016) – Thirteen Indian MPs have signed a petition asking Prime Minister Narendra Modi to raise the issue of China’s environmentally destructive damming of Tibet’s rivers with Chinese President Xi Jinping during the G20 and BRICS summits later this year. The petition was drawn up by Tibet Advocacy Coalition, a grouping of four Tibet groups in collaboration with International Tibet Network (ITN), an umbrella body for Tibet support groups across the free world. Members of the coalition have met with 23 MPs during the parliament’s ongoing monsoon session and also raised concerns about the impact of China’s building of dams on India’s water security. The MPs included Mr Shashi Tharoor and Mr Mani Shankar Aiyar from the main opposition Congress party and Mr Varun Gandhi and Mr Shanta Kumar from the ruling BJP. “China’s mega-dams and water diversion projects are currently being built at a disturbing rate across the Tibetan plateau, and are set to seriously affect India’s already overstressed water supply,” said Jyotsna Sarah George, Campaigns Director of SFT (India), which is part of the coalition. The other two members of the coalition are Tibetan Women’s Association and the Youth Liberation Front of Tibet, Eastern Turkestan, Manchuria & Inner Mongolia (YLFTM).